When you think of inflammation, you probably picture the rash you get from poison ivy or a bump that swells up when you hit your head. There's another silent form of inflammation that occurs within your body, and it does not usually come with any painful symptoms — but it can seriously impact your health. Conditions such as rheumatoid arthritis, irritable bowel syndrome, and diabetes are all linked to this type of constant, low-level inflammation. The good news? You can influence your body's background levels of inflammation by eating specific foods. 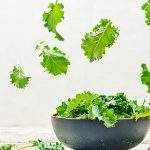 An anti-inflammatory diet can help if you live with a chronic autoimmune illness, are trying to ward them off, or you just feel sluggish and want to improve your health. Inflammation can be friend or foe. Inflammation is your immune system's reaction to an injury, allergen, bacteria, or anything else it identifies as a problem. Inflammation is OK when it's a short-term cut or bug bite, but lingering inflammation can lower your overall immunity. 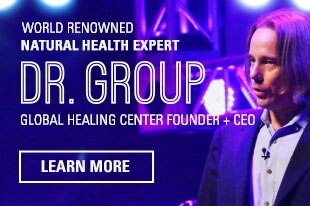 First, your body will fight these problem attackers, and then it will help that region to heal. Inflammation is good when the injury is short-term, like an insect bite or cut, but when it lingers in the body, it can lower your overall immunity. There are two types of inflammation: acute and chronic. Acute inflammation dies down once the issue is resolved. Chronic inflammation occurs when your immune system remains on alert, keeping a "low flame" going all the time. That much "heat" can do serious damage. 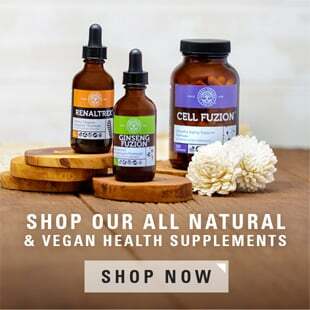 Inflammation has a direct connection to the digestive tract. The microbiome — bacteria and other microorganisms that live in your gut — help to regulate your immune system. Poor diets trigger your body's inflammatory process, while healthy, balanced diets help your body thrive. Everything you eat, the supplements you take, and your environment all affect the health of your gut. What you put in your stomach can either kindle or douse the flame of your body's immune response. For example, a poor diet — too high in calories or unhealthy fats — can activate your body's inflammatory process. However, a diet with the right balance of dietary omega-3 fatty acids (which control inflammation) and omega-6 fatty acids (which stimulate inflammation) along with exercise, sleep, water, and stress reduction can normalize inflammation and help your body thrive. What you don't eat on an anti-inflammatory diet is just as important as what you do eat. Instead of eating foods that trigger inflammation, you will provide your system with dietary choices that soothe it. The basics of an anti-inflammatory diet are very similar to the eating plan I recommend for optimum health. 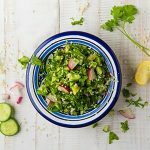 Centered on fresh vegetables, fruits, whole grains, healthy fats, herbs, and spices, it shares many of the features of a plant-based Mediterranean diet — which has been shown to extend length and quality of life. Research also suggests that vegetarians and vegans have reduced inflammation and a lower risk of heart disease. Be sure not to go overboard on carbohydrates, especially sugar, which can upset the balance of hormones in your body that affect inflammation. Try to eat a rainbow of non-starchy vegetables and fresh fruits at every meal. Colorful produce typically contains a lot of antioxidants, which support the immune system by fighting disease-causing free radicals and preventing inflammation. Fruits and vegetables also contain phytochemicals, compounds found in plants that help protect cells. Some people are sensitive to produce in the nightshade family (including eggplant, tomatoes, and bell peppers), but for most people, these are also great choices. Citrus fruits are a great choice unless you have a citrus allergy, which can actually cause inflammation. Fruits contain natural sugars, called fructose. When you eat fructose along with the fiber and other components of a fruit, your body processes it in a different way than processed sugar. 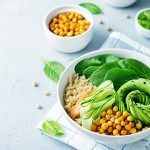 Legumes, including beans and lentils, are a great source of protein and chock full of fiber and minerals along with several antioxidant and anti-inflammatory compounds. Buy organic black beans, Navy beans, kidney beans, garbanzo beans, or red, green, or black lentils. Choose your favorite legume, soak overnight, and toss out that liquid before adding fresh water, and then cook it. You can also eat green peas for their anti-inflammatory benefits. Whole grains contain both antioxidants and fiber, and research suggests they help reduce the inflammation marker called C-reactive protein (CRP). Always choose gluten-free grains, however, because gluten leads to digestive and systemic inflammation in many people. 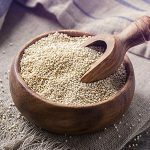 Your best whole grain choices include oats, steel-cut oatmeal, barley, brown rice, bulgur, quinoa, and ancient grains such as amaranth, teff, and buckwheat. Extra virgin olive oil (EVOO) is a healthy fat, good for cooking and recipes. EVOO contains heart-healthy monounsaturated fat, antioxidants, plus a compound called oleocanthal that can lower inflammation. EVOO should be your go-to for stove-top cooking, drizzling on salads, and more. Nuts and seeds are rich in monounsaturated fat, and they contain heart-healthy fiber. Try raw seeds and nuts for optimal nutrition. 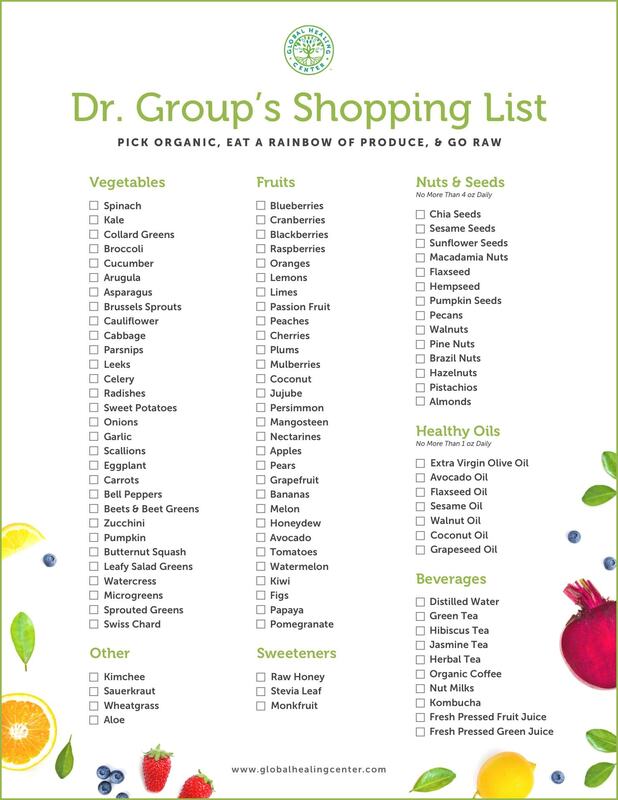 Good choices include unsalted walnuts, almonds, pine nuts, cashews, sunflower seeds, and pumpkin seeds. Besides adding zest to meals, herbs and spices contain many antioxidants. The golden Indian spice turmeric is particularly powerful. Turmeric contains curcumin, which is extremely effective at normalizing redness and swelling. Garlic, ginger, and cinnamon also have particularly strong inflammation-fighting properties. Just as there are foods you should eat on an anti-inflammatory diet, you should avoid certain foods that aggravate inflammation in the body. Below are the most important foods to avoid. Many commercial products in the grocery store are highly refined and processed. As such, they are low on nutrients and fiber. They also tend to be high in omega-6 fats (which lead to more inflammation), saturated fats, and trans fats. Processed foods also typically contain added sugars, which raise blood sugar and rev up inflammation. Stay away from chips, crackers and other snack foods, white bread and pasta, most boxed breakfast cereals, mixes, and frozen dinners. Sugar is one of the worst offenders at triggering inflammation. It causes the body to release cytokines, chemical messengers that amp up your immune system, causing systemic swelling. When trying to avoid inflammation in the body, sidestep all sweets. Avoid cookies, candy, and cakes, ice cream, and sugar-sweetened beverages like soda, lemonade, sweet tea. Stay away not only from refined brown and white granulated sugar and high-fructose corn syrup, but also natural sweeteners with a high sugar content like honey, agave nectar, and maple syrup. If you must have something sweet, have a small amount of organic dark chocolate with at least 70 percent cocoa. Also avoid artificial chemical sweeteners like aspartame, saccharine, and Splenda. Fried foods, especially deep fried, contain inflammation-triggering saturated fats and trans fats. They are typically fried in unhealthy oils, like processed "vegetable oil" or lard, and are typically coated in batter made from refined flour. Steer clear of anything fried, especially fast food such as french fries and donuts. Meat may be central to the standard American diet, but it is highly inflammatory, in part because it is laden with saturated fat, hormones, and antibiotics. Studies have linked processed meats with chemical additives, like nitrates, to cancer. So say no to beef, lamb, poultry (chicken, turkey, duck), and game meats, along with hot dogs, sausage, pepperoni, and beef jerky. As noted, both saturated and polyunsaturated fats are high in inflammation-promoting omega-6 fatty acids, and trans fats also raise your "bad" cholesterol. Instead of using butter and margarine to add flavor to your food, use herbs and spices. Avoid cooking with lard, shortening, or vegetable oils including canola, corn, soybean, safflower, peanut, or cottonseed. There are some healthy cooking oils you can use, but lighten your load and cut down. The following meal plan is an example of what an anti-inflammatory diet could look like. Breakfast: Oatmeal with blueberries, flax seed, and walnuts with almond milk. Lunch: Homemade three-bean chili on brown rice topped with chopped onions, with an apple on the side. Dinner: Mixed spinach and kale salad dressed with EVOO, apple cider vinegar, and herbs; quinoa bowl with red bell peppers, black beans, and avocado; two squares of dark chocolate for dessert. Breakfast: Plain coconut-milk yogurt topped with strawberries, almonds, and sunflower seeds. Lunch: Open-faced lentil-veggie burger on half an ancient-grain bun topped with raw onion, spinach leaves, and tomato slices; baked sweet potato fries. Dinner: Soba (buckwheat) noodles topped with sautéed mixed vegetables and garlic, topped with nutritional yeast. Breakfast: Avocado toast (on gluten-free whole-grain bread) topped with pumpkin seeds. Lunch: Tostada made with vegetarian refried beans seasoned with chili powder and turmeric on a wheat-free multigrain tortilla. Top with salsa, chopped tomatoes, and scallions. Dinner: Mixed lettuce salad dressed with EVOO, apple cider vinegar, and herbs; Buddha Bowl atop brown rice; cherries for dessert. First. It can help you reduce the risk of developing diseases related to chronic over-activation of the immune system. An anti-inflammatory diet can also help reduce the risk of colorectal and other cancers by protecting healthy cells from DNA damage. As a bonus, this diet can help you lose weight; weight gain is itself a cause of inflammation. The healthy fats and fiber in the diet help fill you up, so you'll eat less. Inflammation is your immune system's normal reaction to harm. However, when low-level inflammation becomes constant, it can cause many types of chronic disease. What you eat can either rev up or cool down your body's immune response. 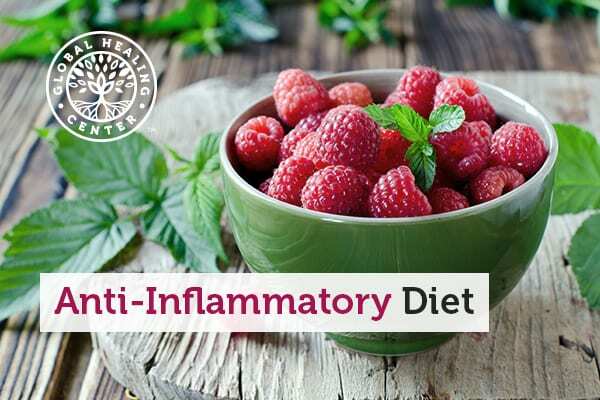 An anti-inflammatory diet can provide your system with the balance of nutrients, including omega-3 and omega-6 fatty acids and antioxidants, to keep inflammation in check. Centered on fresh vegetables, fruits, whole grains, healthy fats, herbs, and spices, an anti-inflammatory diet — similar to a plant-based diet — eliminates processed foods, sugar, fried food, meat, and most fats and oils. It can help prevent or reduce the symptoms of illnesses including diabetes, heart disease, and rheumatoid arthritis, lower your cancer risk, and help you lose extra weight. Have you tried an anti-inflammatory diet? Share your experience in the comments below! Baker RG, et al. NF-κB, inflammation, and metabolic disease. Cell Metab. 2011 Jan 5;13(1):11-22.2. Sears B. Anti-inflammatory diets. J Am Coll Nutr. 2015;34 Suppl 1:14-21. Sofi F, at al. Adherence to Mediterranean diet and health status: meta-analysis. BMJ. 2008 Sept;337:a1344. Masters RC, et al. Whole and refined grain intakes are related to inflammatory protein concentrations in human plasma. J Nutr. 2010 Mar; 140(3):587–594. Beauchamp GK, et al. Ibuprofen-like activity in extra-virgin olive oil. Nature. 2005;437:45-6. Jurenka, JS. Anti-inflammatory properties of curcumin, a major constituent of Curcuma longa: a review of preclinical and clinical research. Altern Med Rev. 2009 Jun;14(2):141-153. Bouvard V, et al. Carcinogenicity of consumption of red and processed meat. Lancet Oncol. 2015 Oct 26;16(16):1599-1600.